When I was a kid, we used to label everything: toys, boxes, file folders. My parents used one of those manual rotary label dispensers, the kind you had to squeeze hard enough to make each individual letter poke up through the hard plastic label tape. It was a good day when my brother and I got to use the label maker to title our shelves, toys and books (“Rob’s Stuff” was a common theme). These days, printing labels is a lot easier thanks to computers and label printers like the ones from Dymo and Brother. Typically, you’ve got to connect these to a Mac or PC, and then use special software to send labels to the label printer. 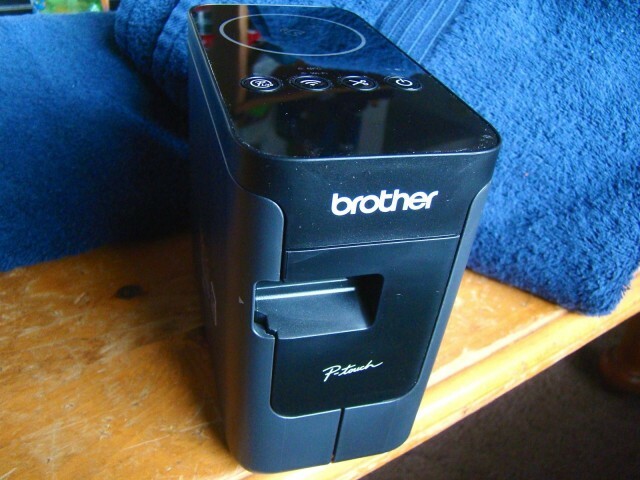 The Brother P-Touch P750W (printer makers really need to work on their model names) is a label printer that can connect to your computer via USB, sure, but also connect either to your existing Wi-Fi network or create its own Wi-Fi 802.11 b/g/n network to print labels from any device, including iPhones, iPads, Android devices, Windows PCs and Macs. Yeah, I’ve already labeled some shelves around the house. Old habits, it appears, die hard. 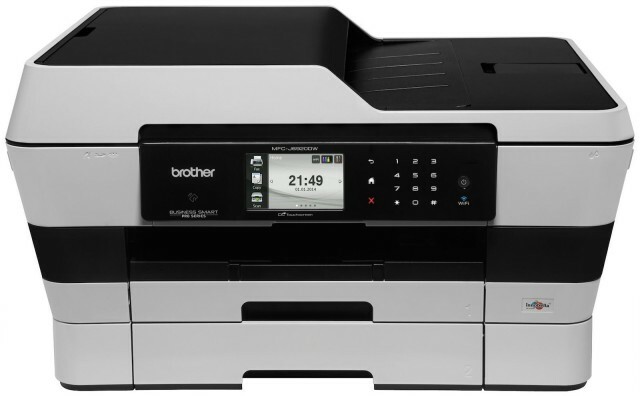 Despite the fact that Brother’s new, top-of-the-line all-in-one inkjet printer looks like a swarthy behemoth, Brother says the MFC-J6920dw is actually 35 percent smaller than comparable competitor’s models. Brother achieves this through something they call “Landscape Print Technology,” a feature it introduced last year that lets the printers output to large pages from printers with relatively small footprints. 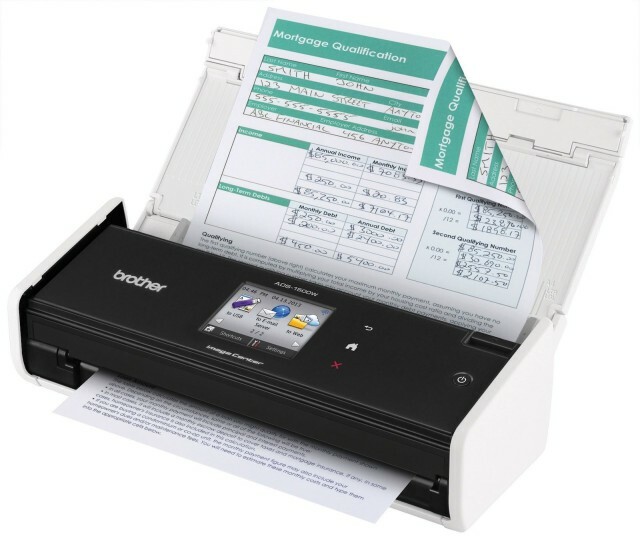 Small, wifi-enabled with the ability to print from tablets and smartphones, low-cost printing, equipped with a touchscreen, relatively inexpensive, fast…looks like a shopping list for the perfect printer, right? 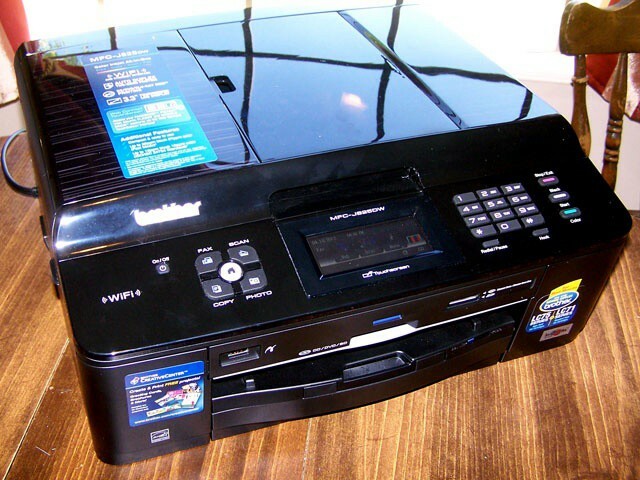 And that’s what Brother might have in their just-launched MFC-J4510DW, a sleek printer with Google Cloud Print connectivity and a price tag of $200 (though I’d love an explanation as to why Brother has stuck with alphabet-soup product names while its competitors have moved on to printers with names like “Artisan” and “Envy”).